Register Log In ECN Forum Forums Violation Photo Forum What's Right Here? Recieved call rooftop heating&cooling unit not functioning. Upon inspection found somewhat of a problem. Brand new unit, old disconnect manually closing switch would not work. Actually had to close knife blades with insulated handles of linemans pliers. Well, the Phase Sequence in the top pic looks to be OK.
Not a lot else, though. 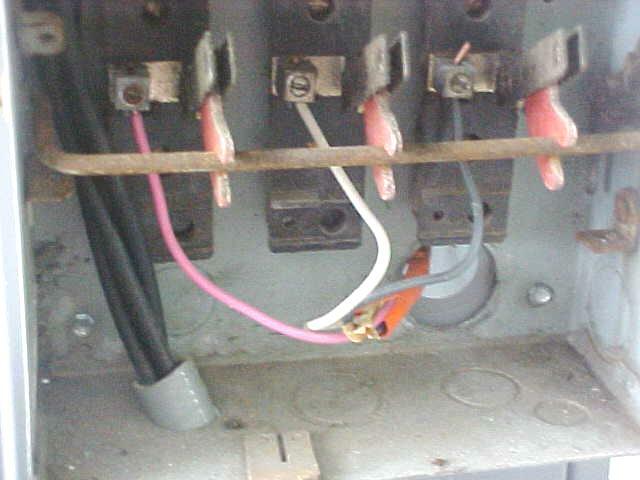 I see in the bottom pic that this unit has been "modified" since it left the factory, hence the loose Ground wire. Actually had to close knife blades with insulated handles of linemans pliers. I certainly hope you don't mean that you energized this. 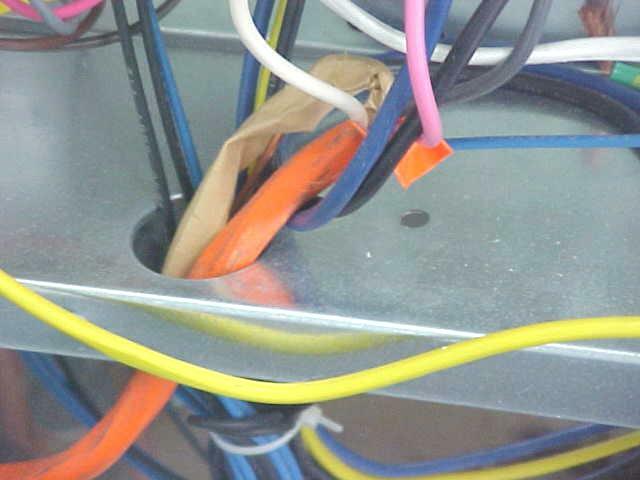 What's right.. hmm.. they used wirenuts.. beyond that, it looks pretty hopeless..
did I mention the poor workmanship? Too bad the black wire wasn't blue, it would have made pic #1 look so much more patriotic (especially when the fireworks start). I especially like the way the installer so conscientiously left the romex EGC wrapped in paper (pic #3), so it wouldn't "short" to the box. On a slightly more serious note... judging from pic #4, is this really 3-phase equipment? 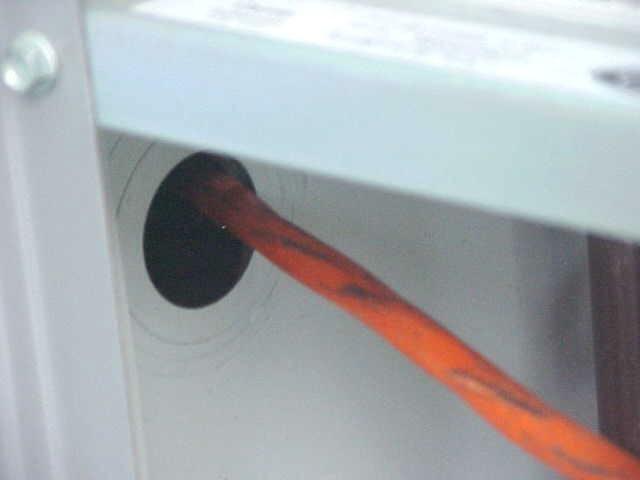 The white wire wanders out of the picture, unlike the black and red, which are spliced to the unit primary, so maybe it's really a neutral? 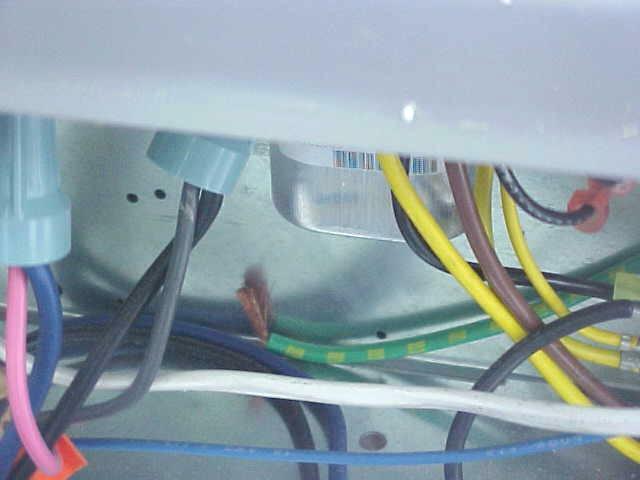 If so, why the 3-pole disconnect?